Meet Putih (Poo-tee) the Traveling Pelican! Putih's on an adventure into the unknown. She's traveling through the woods -- yikes!-- in search of a lake so she can see her reflection for the first time after being teased about having a big chin. Putih meets different animals who befriend her along the way, and who each point out the similarities they share rather than their differences. Putih's new friends appreciate her unique quality and help her to see the beauty in her reflection. This is a great book for kids ages 3-8, teaching important lessons like being a good friend, learning to build self-esteem and confidence, learning about diversity and acceptance, and the power of our words. 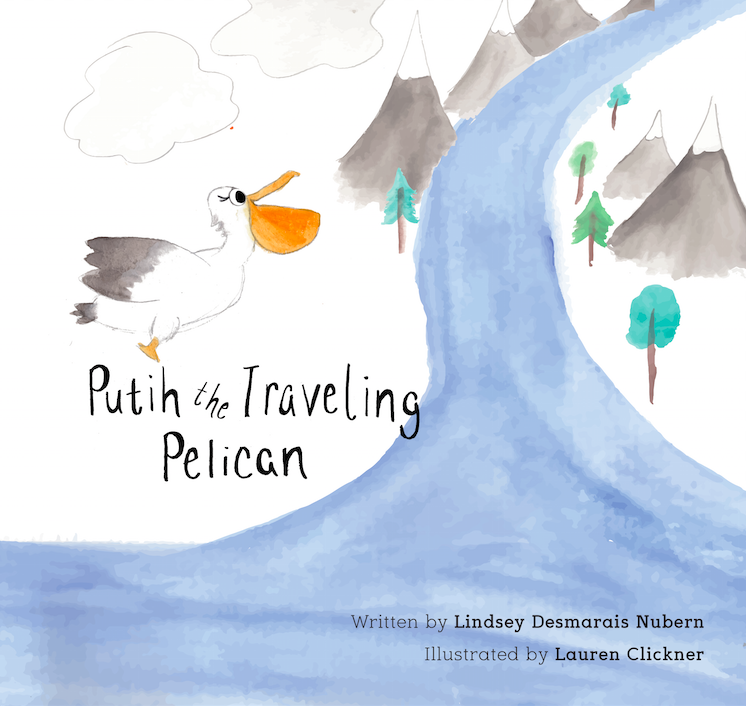 Get four coloring sheets of fun scenes from Putih the Traveling Pelican. Yes! Send me the sheets! YAY! Here are your coloring sheets from Putih the Pelican. CONTINUE your ADVENTURES with putih ON INSTAGRAM! Lindsey is a travel writer and photographer adventuring with her husband Adam. They're currently living tiny in a travel trailer touring the USA. They've also campervanned New Zealand, backpacked Southeast Asia, and traveled Europe on their worldwide #nuventures. Lindsey is also the author of the guidebook How to Buy a Campervan in New Zealand. Lauren lives in North Georgia with her husband Cody, daughter Nora, and dog Lady. She loves telling stories through illustrations, music, and other forms of design work. She started her small business Laurelin Creative, LLC. in 2016 and has loved working alongside other small businesses and authors to help tell their stories. Lauren is also the illustrator of Lily Stays for School. Thank You to our First Read Circle! We want to thank our First Read Circle members for their amazing support of Putih the Traveling Pelican! These folks are the first to read Putih the Traveling Pelican, review the book, and share it with their friends and family. We're honored to have your support, y'all. Thank you for launching Putih the Pelican out into the world!